Supreme Court issues notice in a plea to hear review petitions in open court. Supreme Court has issued notice in a writ petition challenging the constitutional validity of Order XL Rule 3 of the Supreme Court Rules, 1966 which relates to the disposal of review petitions by circulation without oral hearing especially in respect of judgments passed by the Supreme Court in Writ Petitions under Article 32 of the Constitution of India. 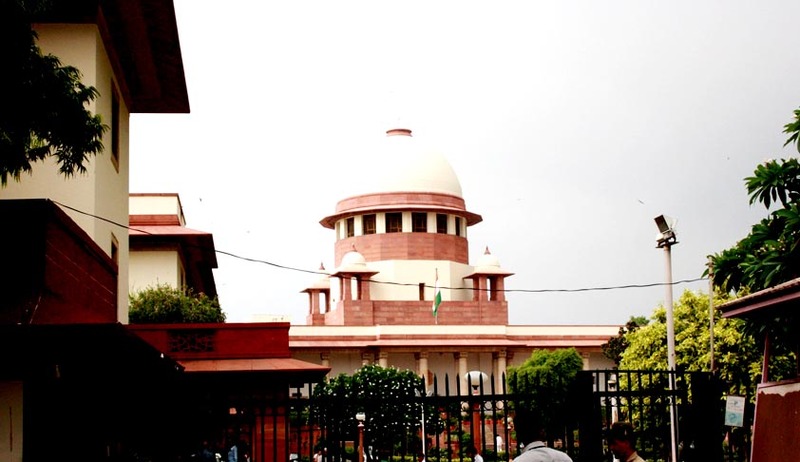 Writ petition filed by M/s Lakshminarayana Mining Company alleged that the said provisions of the Supreme Court Rules are violative of Articles 14, 21 and 137 of the Constitution of India. Order XL of Supreme Court rules requires that an application for review shall be disposed of by circulation without any oral arguments unless otherwise ordered by the court but the petitioner may supplement his petition by additional written arguments. The Court may either dismiss the petition or direct notice to the opposite party. An application for review shall as far as practicable is circulated to the same Judge or Bench of Judges that delivered the judgment or order sought to be reviewed. Review petitions are filed under Article 137 of the constitution of India. Procedure followed by the court is, once the review petitions are numbered, the same will be placed before judges who heard the main matter in their private chamber. Normally 99 percent review petitions are dismissed as the same treated as another round of litigation after multiple tiers of appeals and reviews. KK Venugopal, Senior advocate who was representing petitioner made thought provoking submissions before the bench consisting of Justice Patnaik, Justice Nijjar and Justice Khalifulla. He contented that so far as petitions under Article 32 are original petitions filed in the court and if it is dismissed erroneously, petitioner would never get a chance to make an oral argument. Since right of appeal is a facet of our judicial scheme, it was pointed out that such right should not be denied in writ petitions under Article 32. Petitioner further contented that an embargo imposed by Order XL Rule 3 of the Supreme Court acts an obstruction or tends to retard the assertion of the fundamental right of the petitioner and it does not aid in the redressal of the grievance of the petitioner and hence it is unconstitutional. While issuing notice in the above petition, the court dismissed another writ petition seeking a direction that all writ petitions raising substantial questions of law shall be placed before a bench having strength of at least five judges. Though C S Vaidyanathan, Senior Advocate made a fervent plea, the court refused to interfere and dismissed the writ petition.